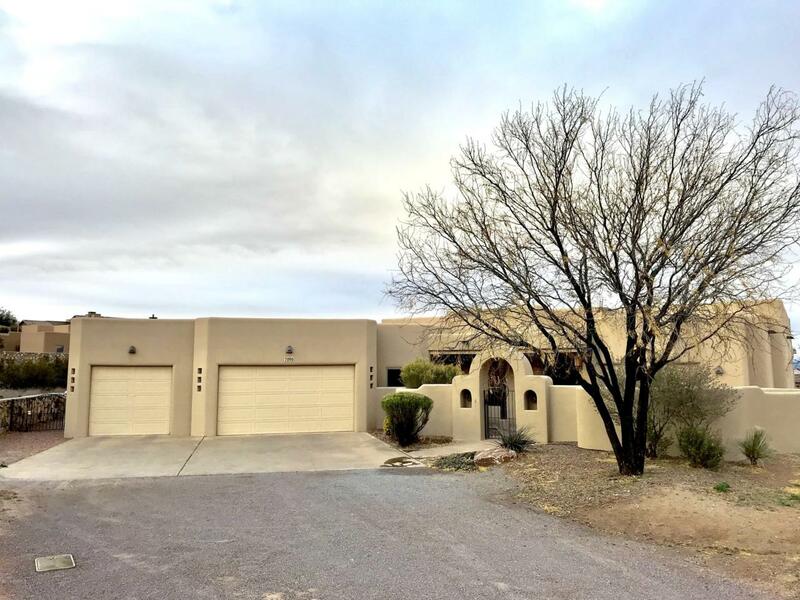 Quiet and private home located on the edge of Linda Vista Estates of Picacho Hils. Built in 2005 and renovated in 2009. Start in the gated front courtyard and enter the home through an open entrance way with custom tile and overhead skylights. Double-pane windows and skylights in nearly every room adds a generous flow of natural light. Open kitchen / dining room combo with unique custom counter tops and an abundance of cabinet space. Step out back to the covered patio for a cup of morning coffee and enjoy the stunning views of our great Organ Mountains. Low maintenance landscaping ; perfect for pets. Back door entrance to media/sitting room that connects to the master bedroom. Sizable master bath features a walk-in shower, jetted tub, double sinks, and roomy walk-in closet. Each bedroom in the home contains walk-in closets with built in shelving and ceiling fans. Other features include smart-wiring, an underground sprinkler system and water softener. Listing provided courtesy of Orey D Feerer of Coldwell Banker Legacy: (575) 521-1000. All listing information was provided by Southern New Mexico Multiple Listing Service.